The next big thing in golf is starting to take shape. It's data. Data about your golf swing, your golf ball and every facet of how you play the game. That data will be compiled by some incredible technology that wasn't available even three years ago, and it's going to be massaged to provide you with such great insight into your game, what's working and what isn't, that you'll have real, actionable information that will tell you how best to improve your game and enjoyment of it. There are a plethora of products to track your game in real time, including Arccos Golf and Game Golf, as well Zepp Golf. All of these products use beacons placed on your equipment of person to track your swing. Arccos Golf and Game Golf connect to your phone using Bluetooth technology and work with the mobile device's GPS capabilities to map your round with incredible accuracy, offering more insights into your round. However, for as great as these products are, they lack a key piece of information: how your ball actually flies in the air. That's what TrackMan and other ball-flight monitoring products do so well, including an increasing number of affordable products that can provide a lot of what TrackMan does at a small fraction of its big price. All of those units, however, have to be placed behind the golf ball before the swing. That's great for the range, but not so handy when it comes to playing on the course. Nike Golf may be working on a golf ball that can fix that problem and help to deliver all of the data you need about your game in real time. 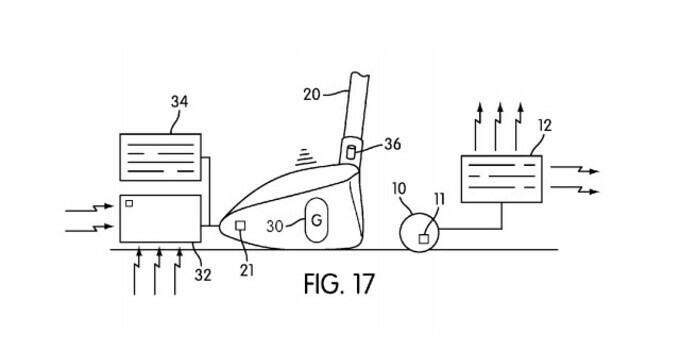 Among many patent applications it has recently filed, Nike Golf included one for a golf ball that can capture and transmit information about ball flight, spin rate and other characteristics. The possibilities for accessing and using this information are staggering, particularly for the better player. The data could be transmitted to a mobile device to share how your ball flies through the air with every club in the bag. It might even be able to recreate the ball flight, showing a ProTracer-of-sorts view of your golf shots. Then you could compare data per club, per swing, per conditions, per player and then use it in conjunction with GPS data that provides ball position to get a total picture of your game. If this doesn't get you excited about the future, I don't know what will. When Game Golf hit the market, it was a breakthrough. However, its flaws were -- and still are -- evident. But it important to point out that Game Golf wouldn't be a static product, never to evolve. The technology was going to improve. There was going to be another iteration. Competitors, like Arccos Golf, were going to come along and push the category further. Now it appears Nike Golf is planning to join the fray, perhaps as a competitor or maybe as a complement to other products. While we don't know if or when these concepts will make it to market, they're an indication that there's still a lot to come in golf's data revolution.